As we approach the 21st century, the Advances in Computers serial remains the oldes continuously published anthology chronicling the evolution of the information technology field. 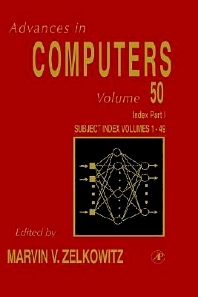 Since 1960, this series has described the ever-changing nature of computing. In this volume, we will emphasize the major themes that have dominated computing in these latter days of the 1990s. Of course we mean the distributed nature of information technology. The growth of networking, the Internet and the World Wide Web have greatly changed the role of the computer, and in turn, our lives as well. Starting as a computer science research topic in 1969, the ARPANET, funded by the U.S. government's Advanced Research Projects Agency (ARPA), tied together university, research, and military computing centers. By the mid-1980s the ARPANET evolved into the Internet under funding by the U.S. National Science Foundation (NSF). The computer experimenter, the so-called "computer geek," discovered the Internet and joined the fun. By the early 1990s, the World Wide Web (WWW) grew as a subnet of the Internet, and email and Web browsing became available to all. Today millions of "computer illiterate" individuals daily use these resources to send mail and search for online information. No longer is the Internet the domain of the serious computer researcher. In this volume we will describe some of the changes the Internet has brought us.